"The Leading International Footwear Industry Trade Fair"
Micam the leading international exhibition of the footwear industry. It is a unique event of its kind with footwear collections at each edition, successfully merging business and fashion. 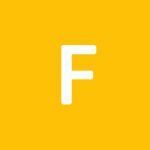 It confirms its role as a privileged stage for the promotion of new collections and, at the same time, a decisive business opportunity to start contacts concrete trade. Most vendors were great but some vendors were very rude when it came to entering the booths. With “appointment” after getting our card and coming so far on the last day. If an “appointment” is required it should be listed in the book so we can make that arrangement before the last hours of the exhibit. Food and drinks should be available on both ends of the hall for purchase. Other than coffee and cookies. The staff, the cleanliness, the partipants were fantastic! This was. Great show. The vendors are very helpful and informative. Together we will do very good business. Some places do to laws make it harder and more expensive to carry but we will try to find a middle ground to bring their beautiful work into our country. The various halls could be better themed so you know what you'll find in each hall. Need better info re: logistics on how to get to/from MICAM/Airport. Days should end 30-60 minutes earlier or possibly have one long evening but the others shorter. 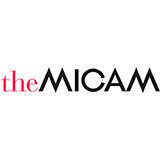 theMICAM is attended by more than 1595 professional exhibitors, looking to promote a varied array of footwear items and accessories. Stylish and fashionable shoes of different varieties, for men, women as well as kids, are primarily exhibited during the event. Fashion footwear of different reputed brands are showcased here and shoe stretchers, shoe horns and insoles are also exhibited during the event. Customs bags for shoes are displayed at the show as well. Several noted companies come to showcase their products here, including Alvino Collections and Aka Art Advanced Kit.